A versatile dress is something every woman needs in her wardrobe—something that can take you from a Saturday pub lunch to last-minute cocktails. Enter the Céline Ribbon Detail dress. While Céline isn’t the most attainable brand (for starters we can't even buy it online—note to Phoebe Philo: please consider an Australian e-store), we can take some style notes from the ladies who’ve recently stepped out wearing our new favourite dress. 1. White sneakers can dress down just about everything. 2. Add a top-knot, sunglasses and oversized earrings to turn a night-time dress into a day-time one. 3. You can wear anything when you're Yasmin Sewell (or Lara Worthington). 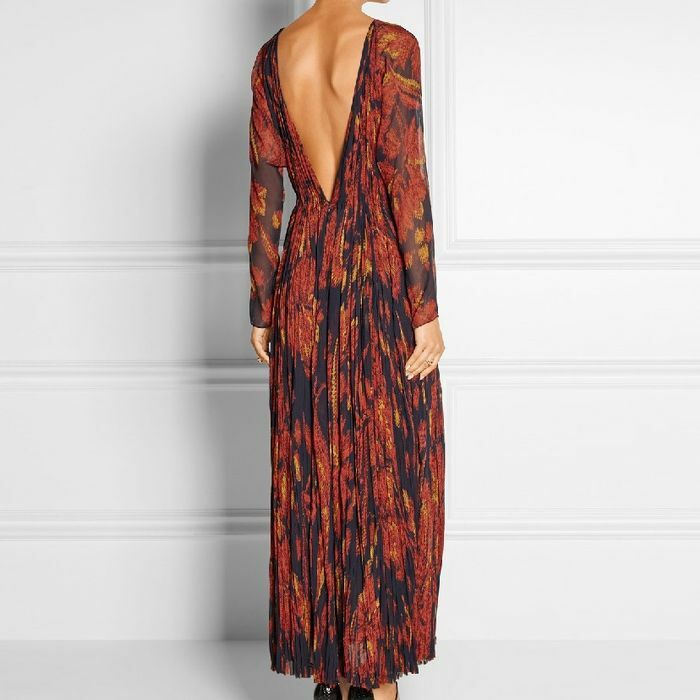 Keep scrolling to see the back of this beautiful Céline dress from every angle and then shop our top pick of backless dresses. Will you be buying a backless dress this season? Tell us how you'll be wearing it in the comments below.